I was inspired and challenged this week through a blog post by Gary Furr, pastor of Vestavia Hills Baptist Church in Birmingham, Alabama. 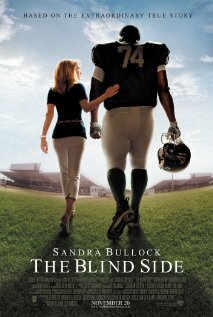 He was commenting on a recent decision by Lifeway Christian Stores to remove the movie “The Blind Side” from its shelves because it contains profanity and a racial slur. Read his entire post. It’s worth the time and effort. What struck me between the eyes was his challenge to us creative types in the church. 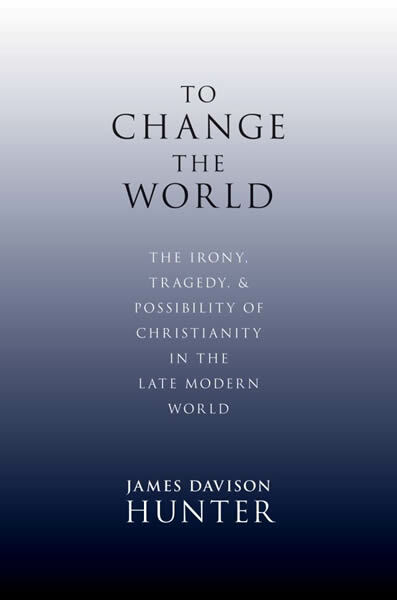 Furr talks about UVa professor James Davison Hunter’s 2010 book, To Change the World: The Irony, Tragedy, and Possibility of Christianity in the Late Modern World. He says, “Hunter surveyed the Christian landscape and concluded that not only is Christian impact on the culture waning, the Christianity that wants to affect it is weak and superficial. While we make great impact on individuals and meet many needs, it does not tend to move the influence makers of our society. “Nowhere is this lack of depth and power more evident than in our engagement with the arts. Those who tell the stories, produce the art and who debate world changing ideas are not, by and large, among Christians. This is not a problem, he says, that can be overcome by forceful politics, organizing or by withdrawing into the artistic ghettos of our churches where terrible or, at best, mediocre art is produced to satisfy the internal audience but which makes virtually no impact on the larger culture and particularly those who are the shapers of culture. Furr’s prophetic words come at a crucial point in the development of The Prodigal Project. There’s nothing sanitized in Jesus’ story about the young man who wished his father dead, and then went off to squander his inheritance on prostitutes and wild living. Nor is there anything appropriate about the outburst of his older brother when the young prodigal returns home with his tail between his legs. It is in contrast to those earthy, despicable, yet all-too-real characters that we gain a better understanding of a loving, forgiving Father who goes out to invite both sons to the party. I pray that, in retelling this most beautiful of Jesus’ parables, we will, as Furr exhorts, “think more brilliantly, achieve more truthfully, and produce more beautifully” so that younger and older sons of our culture will be drawn to a portrait of the Father who embodies grace, love and second chances. GEORGE: I saw a very strange thing the other day. GEORGE: Twelve men standing under one umbrella and they didn’t get wet. That is, wait for the laughter to end before you resume the dialog. I think the phrase actually started in the Bible. That passage has been a theme for my ministry since 1980, when I first heard it cited as a guiding principle for media ministry in a local church. I heard it from Ron Harris, who was Media Minister at First Baptist Church in Wichita Falls, Texas at the time. Until recently, I had always focused on the first three lines. The primary communication medium of the prophet Habakkuk’s era was the fleet-footed messenger, who would take the words of a king or other important person to the intended “target audience” and deliver the message personally. The communication media of our era are vastly different. But the exhortation to faithfully report, to “make it plain,” is applicable for us modern messengers, too. Whether we write it, speak it, broadcast it, or post it on Facebook, we strive to be faithful and true to the King. In recent months and years, I’ve expanded my focus to the last three lines of the passage. Waiting has never been my strong suit. When I get an idea, I’m apt to run with it and ask for God’s blessing later. What I’m learning (and I don’t pretend to be there yet) is to “wait for it.” God is teaching me patience… and He’s taking His sweet time about it! The Prodigal Project is my current schoolroom for the patience lessons. After praying and thinking about this project for two and a half years, I’m beginning to see where God is leading. And it is truly exciting to see Him put the pieces together. People who want to participate and contribute are showing up regularly these days. And many of those folks weren’t around two years ago. If I’d pushed ahead on my schedule, the project would have been robbed of these creative sparks. I don’t know how it will all turn out, but I’m learning to enjoy the journey and to anticipate the surprises that await the appointed time. Milepost #1: The Screenplay – Done! 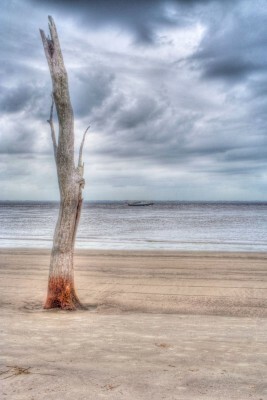 I was on sabbatical leave, sitting in a nearly empty restaurant on Jekyll Island, Georgia, overlooking the Atlantic Ocean, and trying to discern the direction that God was leading me in the next chapters of my life. I had just finished reading some books that were still reverberating in my mind: They Like Jesus But Not the Church by Dan Kimball, UnChristian by David Kinnaman, Applebee’s America by Douglas B. Sosnik, Matthew J. Dowd and Ron Fournier, and Blue Like Jazz by Donald Miller. Those books made me think of helping those of us in the church understand how our “unChristian” behavior and attitudes were having the same effect on our culture as the harsh and unyielding ways of the Pharisees had in first century Palestine. They also sparked the idea of speaking to the increasing number of people in our culture for whom God is not even on the radar. Folks who consider themselves “spiritual,” but they don’t need any church to tell them what and how to believe. They are on a constant search for fresh experiences and new sources of motivation and inspiration. But a relationship with their creator is not a part of their lives. So on that cold winter morning on the Georgia coast, the day before my 59th birthday, the idea was born to tell a story that would speak to both audiences. I’ve been working in video for forty years, so it made sense to use that medium. But I didn’t want to do another syrupy “Christian film” that would make church folks cheer and everybody else stay away in droves. I wanted to do something that would stand on it’s own through strong characters and a compelling story. Jesus’ parable of the prodigal son in Luke 15 provided a perfect model. It speaks effectively to both groups. And it has endured for 2,000 years as a well-crafted story. The study of Luke 15 has enriched my life. I’ve grown to appreciate Jesus even more as a master storyteller. Through reading, study, and countless discussions with friends and colleagues, I’ve grown to understand more than ever before about God’s grace, unconditional love, forgiveness, and reconciliation. As I wrote in my journal early on, “It is a process, not a formula… a relationship, not a rulebook.” The study and discussions will continue. But this morning, after two and a half years of thinking, praying, false starts, reading, studying, discussing, writing, collaborating, waiting, listening… and then four months of intensive writing with two amazing partners, we reached a crucial goal: the completion of the first draft of the screenplay. 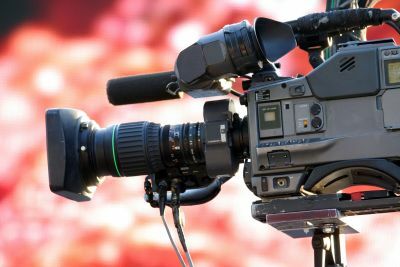 The next steps include script editing and revisions, developing a budget, securing funding, working out a production schedule, casting, crewing, shooting and editing, and presenting it to our audiences as a made-for-TV-movie, release on DVD, and perhaps some web collateral. And then, who knows, there may be even more opportunities to tell and hear stories of God’s grace, unconditional love, forgiveness, and reconciliation.